White chocolate gives my favorite blueberry muffin recipe an extra special touch. Make these any time you want to wow brunch guests! 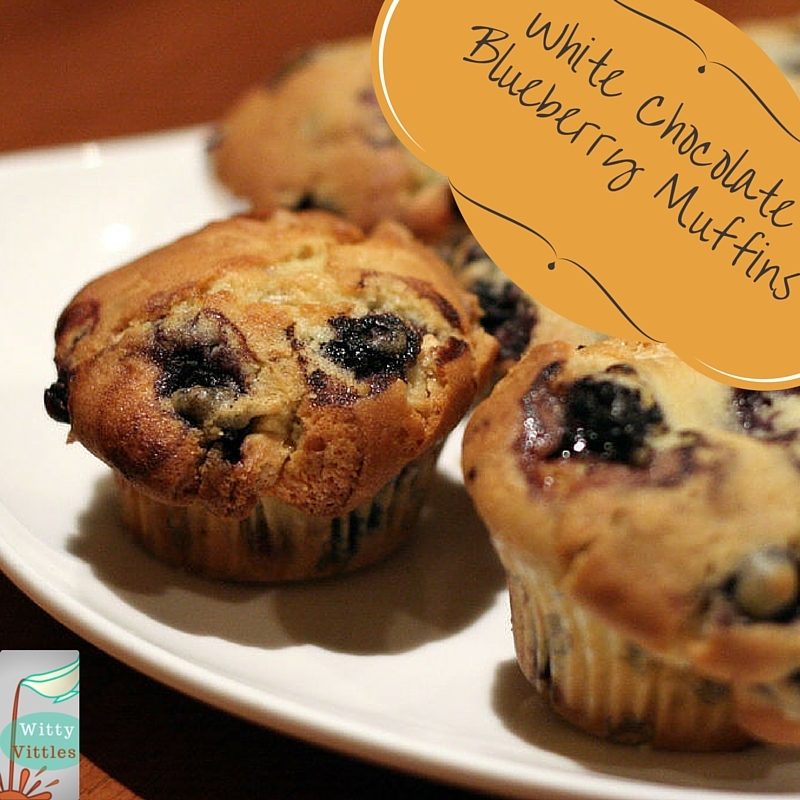 Spray a microwave-safe muffin pan (I use a silicone mini muffin pan) with Pam cooking spray. In a medium-sized mixing bowl, beat together the sugar, butter, yogurt, egg, and vanilla. Pour the liquid mixture into the flour mixture and stir until thoroughly combined. The batter will be slightly thick. Fold in the white chocolate chips and blueberries and stir gently. Spoon the batter into the muffin cups (6 regular-sized muffins or 12 mini muffins). Microwave on Power Level 7 for 2-4 minutes. Muffins are done when a toothpick stuck in the center comes out clean. Repeat for process of greasing the muffin pan, pouring the batter, and microwaving on Power Level 7 for 2-4 minutes to bake the remaining batter. My mother-in-law first introduced me to the joys of the silicone muffin pan, and I’m so glad she did. This versatile pan can be used in the regular oven, as well as the microwave oven, so it’s perfect for all kinds of recipes. If you use it in the regular oven, though, you might have to put a metal cookie sheet or something under it for added stability. Happy baking!